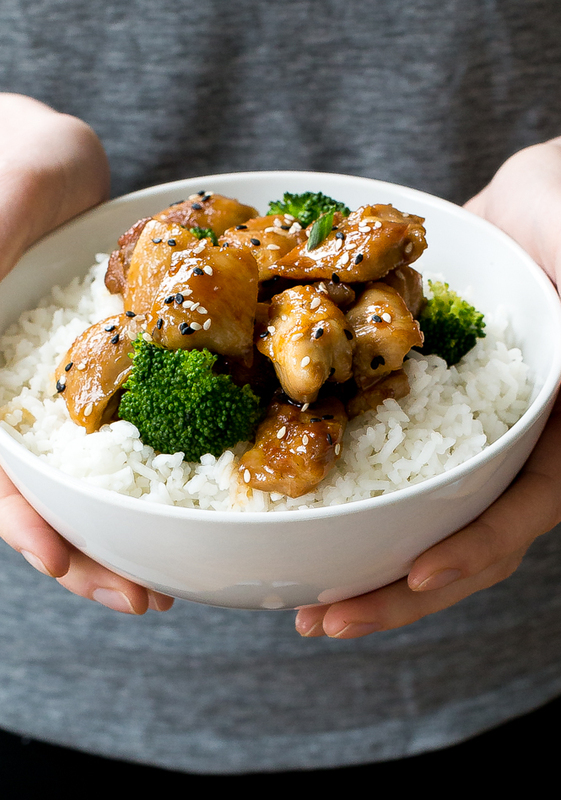 Super Easy Pan Fried Chicken Teriyaki. 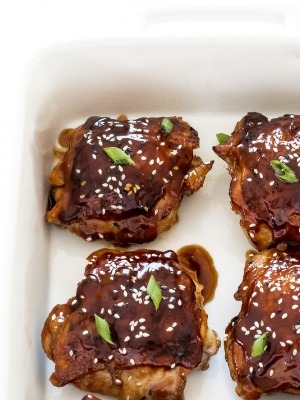 Tender, juicy and smothered with a homemade teriyaki sauce. So much better than takeout! 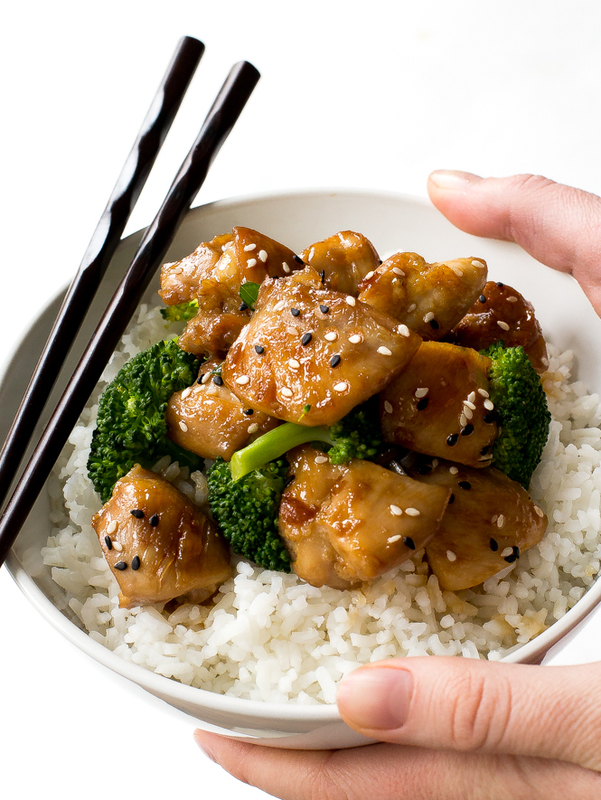 I love making my favorite take-out dishes at home like Beef and Broccoli, Kung Pao Shrimp and now this Teriyaki Chicken. 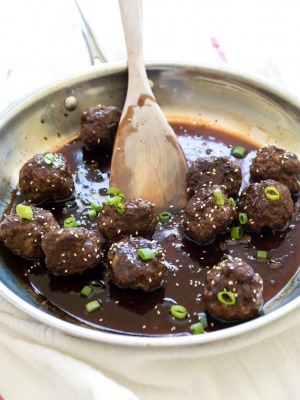 It’s just as flavorful, super easy and a lot healthier. For this recipe I used chicken thighs. They turn out incredibly juicy, tender and crispy on the outside. 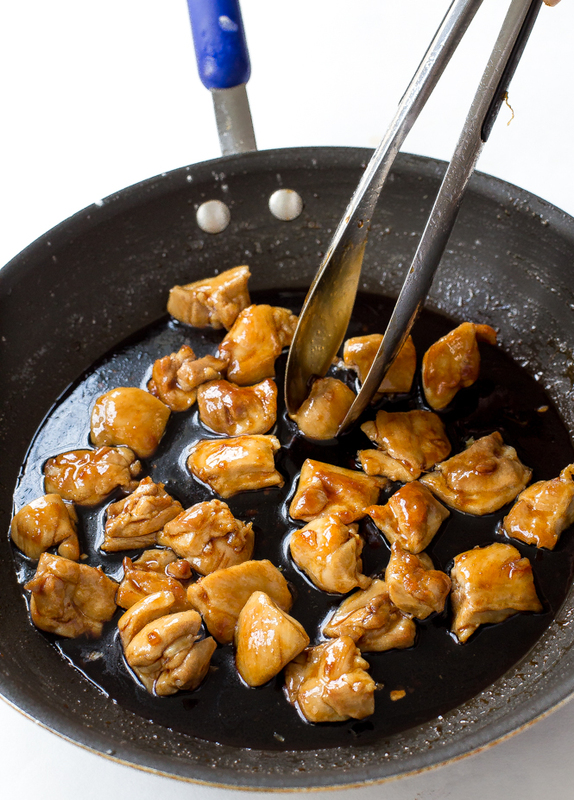 The chicken get’s pan fried in a hot pan than smothered in the homemade teriyaki sauce. I love making my own teriyaki sauce at home. It’s tangy with just the right amount of sweetness. The teriyaki sauce is made of equal parts soy sauce and mirin. Ginger, garlic and brown sugar also get added. The sauce gets nice and thick with a simple cornstarch slurry (1 teaspoon cornstarch + 1 tablespoon cold water). 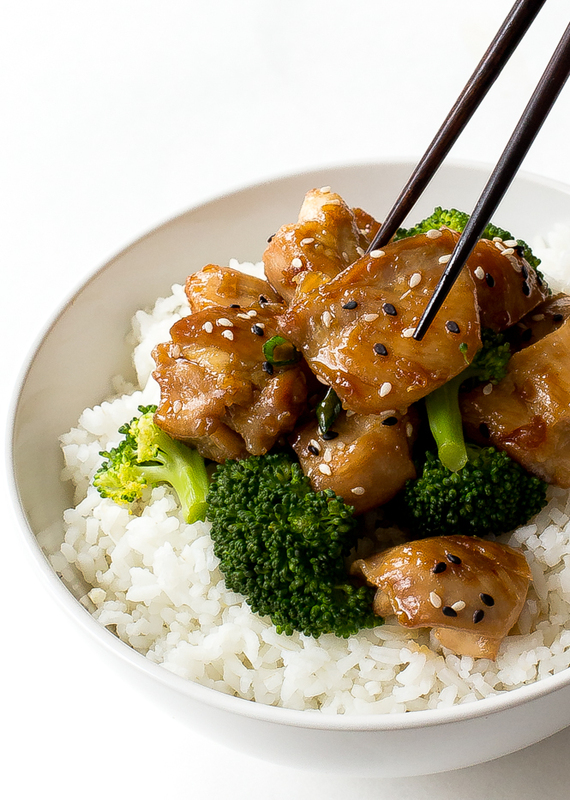 Serve this Teriyaki Chicken with steamed veggies and rice. This is a super easy and healthy dinner that takes 25 minutes to make! Saute chicken over medium high heat until browned on the outside and cooked through. In the same pan the chicken was cooked in add the soy sauce, mirin, brown sugar, sesame oil, ginger, garlic and fish sauce. Bring to a boil and reduce heat and simmer the sauce for 2-3 minutes. Slowly pour in the cornstarch mixture whisking continuously. Continue to cook until your desired thickness. 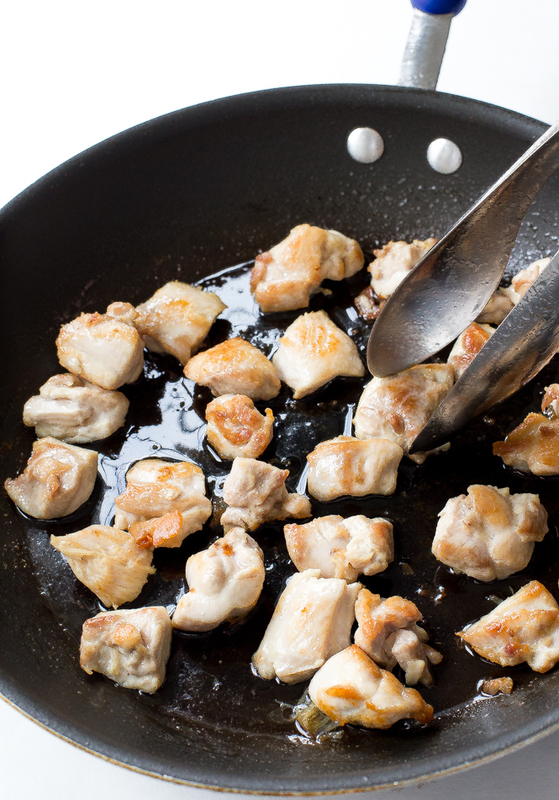 Add chicken back to the pan and toss to coat the chicken with the sauce. Excellent Meal. The Teriyaki Sauce was perfect. Delicious! This teriyaki sauce is WAY better than store-bought and the finished dish could have come from my favorite restaurant. 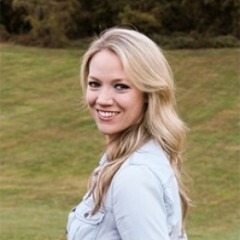 Thank you Kelley!